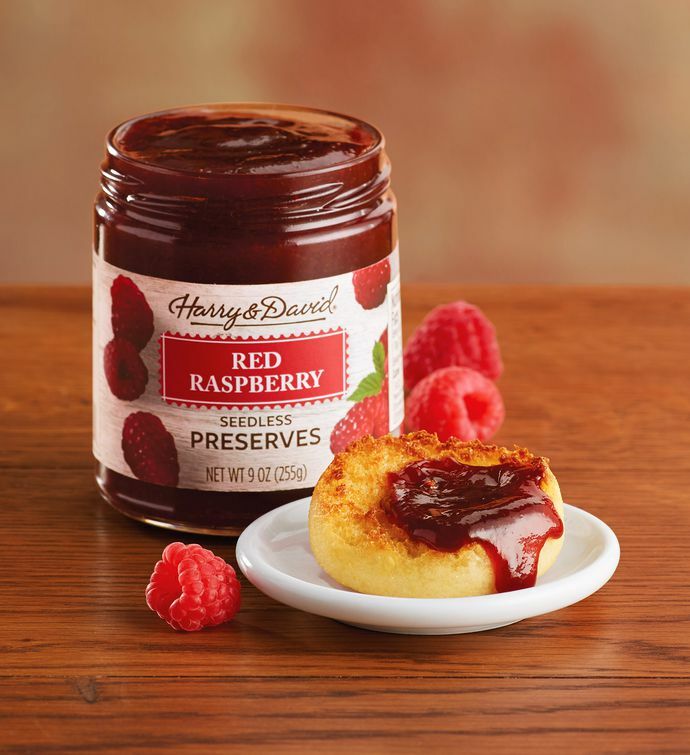 Made with tart red raspberries and just the right amount of sugar, these preserves are perfect for adding delicious fruity flavor to waffles, toast, and so many other creations. Use as a topping for cheesecake, a filling for pastries, or the center of thumbprint cookies for an extra-sweet surprise. You and those who receive your gifts must be delighted, or we'll make it right with either an appropriate replacement or refund.